Stir all but 2 tablespoons of the cherries, half of the pumpkin seeds, half of the pistachios, and all of the Fiber One™ cereal into the chocolate. 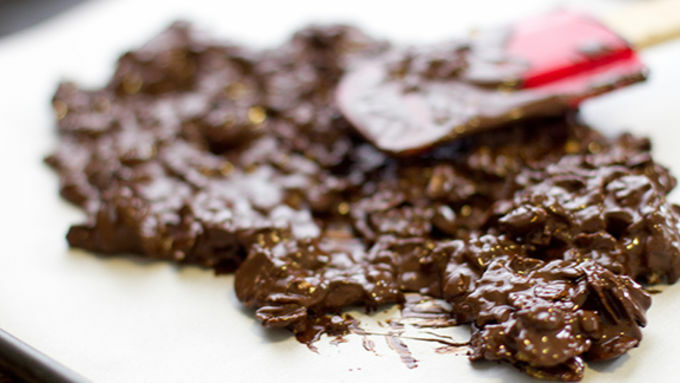 Spread the chocolate in a very thin layer on a parchment-lined baking sheet. 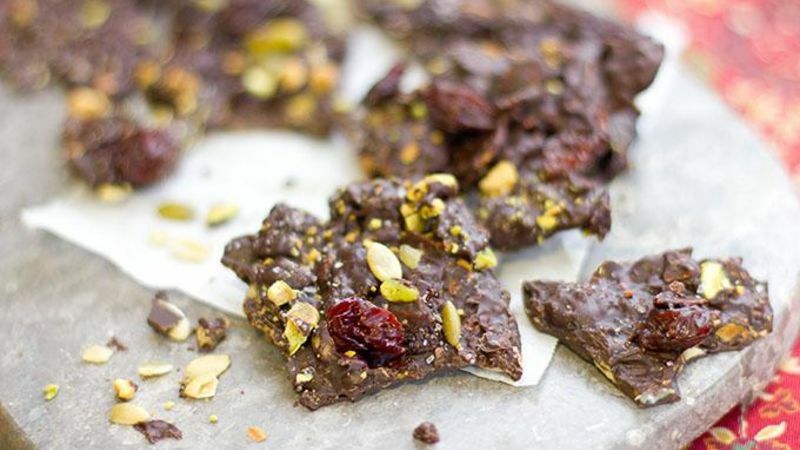 Sprinkle the top of the chocolate with remaining cherries, pumpkin seeds, and pistachios. Sprinkle with sea salt. Allow to cool in a cool, dry location. Once chocolate has hardened, snap it into pieces and enjoy! 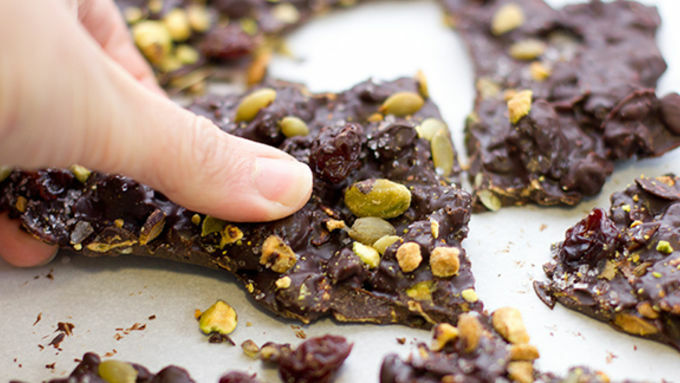 Dark chocolate candy made right – so you can eat it and keep that New Year's resolution too! It's a new year, and you're ready to be a new you. But who wants to live without chocolate? Not us. Which is why we've conjured a homemade version of the new superfood chocolate snaps. Each bite is full of gorgeous, nutrient-packed nuts and cherries, and gets a happy bit of crunch from honey-kissed Fiber One cereal. These deliciously simple chocolate snaps are so good, you'll be delighted to be on a "diet." 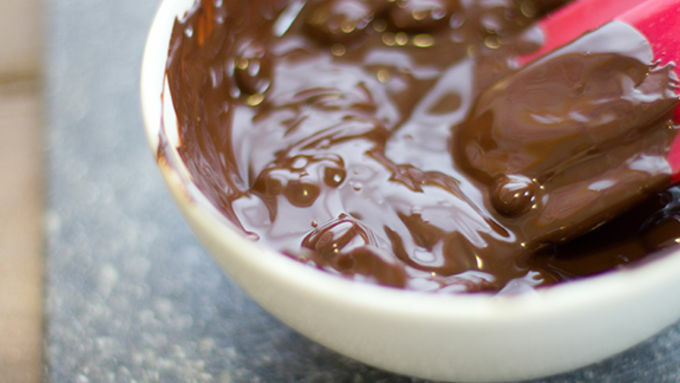 You gotta love any chocolate dessert that starts with four basic ingredients and is ready in five minutes. Eat immediately or store in an airtight container until you're ready to nibble on a yummy piece of chocolate that gives you a pop of nutrition and a whole lotta yum!